With its turquoise waters, rugged natural beauty and cluster of 150 undeveloped islets, New Zealand’s Bay of Islands is one of the nation’s most resplendent gems. As well as boasting some seriously stunning scenery the subtropical micro-region also holds enormous historical significance. It was one of the first places settled by the native Maori population and is also renowned as the birthplace of New Zealand’s European colonisation. Now, the Bay of Islands is set to skyrocket in popularity, with tourism bosses predicting that over the next 12 months up to 30,000 extra visitors will sail into the region. The boost is largely due to the fact that two major lines have just added the Bay of Islands to their itineraries. Both Carnival Australia and P&O will now offer passengers the chance to explore the bay and soak up some of New Zealand’s most breathtaking scenery. Currently on offer is a regular 10 day Carnival Legend sailing from Sydney, as well as a one off four night Pacific Pearl sailing from Auckland. For New Zealand, the new additions represent an additional $28.7 million for the local economy. From restaurants and cafes to souvenir shops and shore excursion operators, the extra 30,000 visitors will definitely make a difference. And according to market trends, around 25% of these passengers are likely to return again in the future to enjoy longer, land-based experiences in the region. 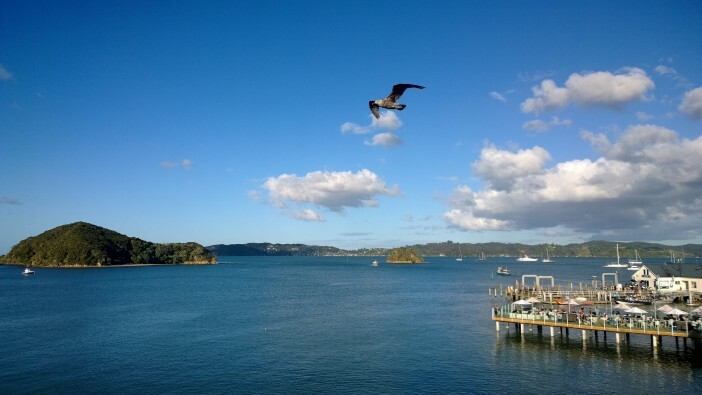 So what sorts of activities and experiences are on offer for Bay of Islands bound passengers? The main tourist town of Paihia is brimming with seaside charm, independent cafes and souvenir stores. Hit up the visitors centre to learn about the Treaty of Waitangi, sign up for a swimming with dolphins experience, cruise through the unique ‘Hole in the Rock’ formation, check out nearby Haruru Falls and spend the day exploring Maori culture at the historic towns of Russell and Kerikeri.